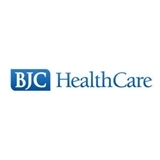 BJC - Barnes West Medical Consultants (St. Louis) - Book Appointment Online! Dr Lynch is a kind, caring physician. He explains things in a language the patient can understand. His staff is awesome! As a new patient, everyone was very nice and efficient! I was appreciative of his empathetic, professional, and compassionate care.